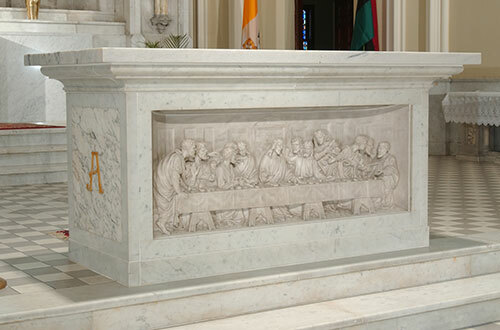 Marble has been in use within worship spaces and ecclesiastical furnishings for many centuries due its durable, classic and aesthetic qualities. 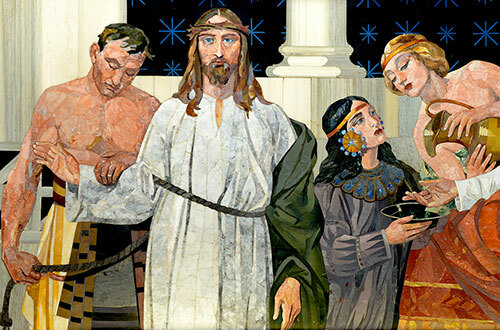 Daprato Rigali Studios has been creating and installing marble creations since the start of the 20th century. 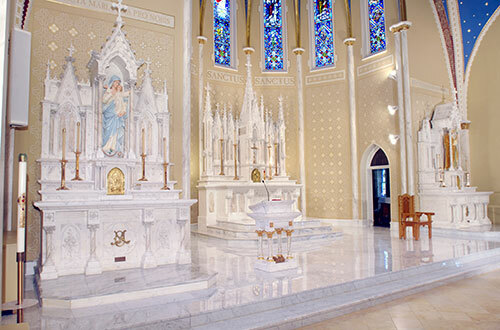 Many of our prized marble altars and furnishings can still be seen throughout North America and Europe, most prominently in many historic parishes in the United States. 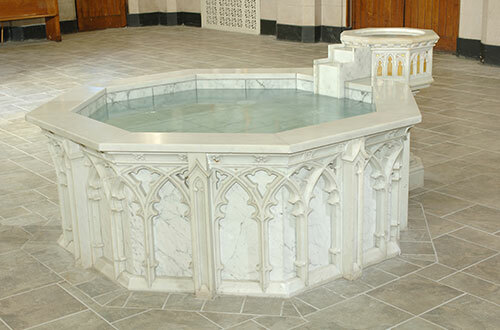 We specialize in various types of marble fabrication, alteration and restoration. Our Chicago-based marble studio allows us to cut and create marble pieces to suite various styles and architectural needs. 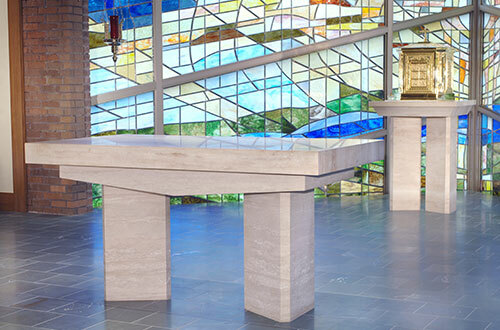 We create custom altars, ambos, baptismal fonts, flooring and railings, as well as rework existing marble pieces into new designs. 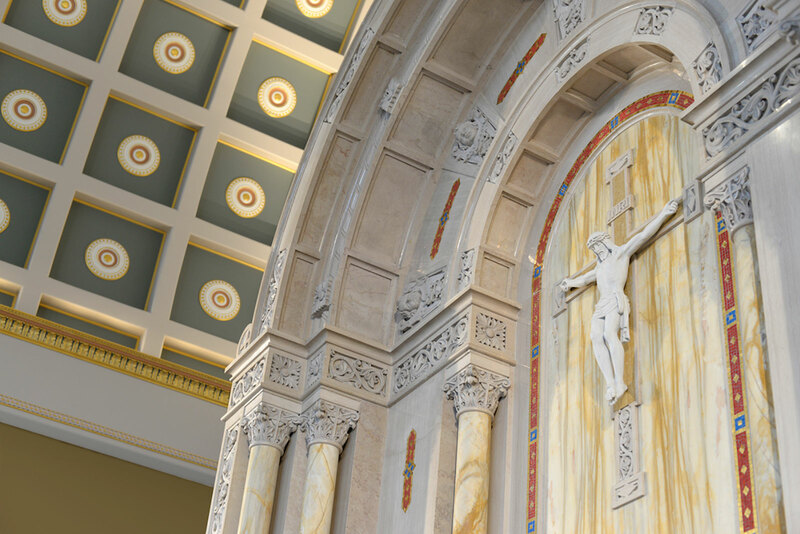 John Rigali is the senior director and head designer of newly formed and redesigned marble works, using thirty years of expertise in the field, as well as knowledge gained apprenticing under Master Stone Mason, Lucherino Lucherini.